The Wall Street Journal did a useful bit of sleuthing. In a new story, Nearly 5 Million Americans in Default on Student Loans, the Journal described how student borrowers are failing to pay despite the economy supposedly being in good shape. However, anyone who has been paying attention knows that 94% of the jobs created in the Obama Administration were part-time, and there’s no reason to think the quality of jobs has increased under Trump. The number of Americans severely behind on payments on federal student loans reached roughly 4.6 million in the third quarter, a doubling from four years ago, despite a historically long stretch of U.S. job creation and steady economic growth. In the third quarter alone, the count of such defaulted borrowers—defined by the government as those who haven’t made a payment in at least a year—grew by nearly 274,000, according to Education Department data released Tuesday. 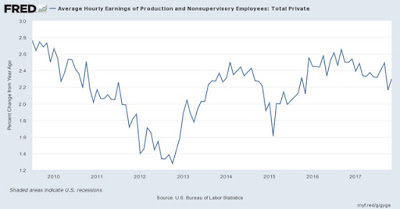 Now let us put aside that the “steady economic growth” is the new normal, where the benefits of economic growth are going at unprecedented levels to capital, reflected as the share of GDP represented by profits, as opposed to wages. Recall that Warren Buffett warned in the early 2000s that the profit share of GDP, which was then approaching 6%, was unsustainably high. He’s been silent as the profit share has risen to 11% to 12% of GDP (estimates vary due to differences in computation methods). But what should also capture your attention is the definition of default: not having made a payment in a year or more. That is mind-bogglingly lax. I encourage readers who are better versed in retail banking than I am to pipe up (yours truly focuses on the “wholesale” side). Technically, a loan is in default any time a payment is missed. Some agreements allow for a grace period; others happily charge late fees. However, with notable exceptions like mortgage servicers who profit from foreclosures, lenders and their agents want borrowers to get current. At least as of a few years ago, and I assume this is still true, for credit cards, being sixty days plus late on payments is treated as delinquent and will be reported to credit agencies; 90 days late will be classified as non-performing. In the aftermath of the crisis, analysts looked askance at bank regulators giving banks “forbearance” on home equity loans where there had been no payment in 180 days plus, yet the regulators weren’t requiring that they be charged off. For a loan made under the Federal Perkins Loan Program, the holder of the loan may declare the loan to be in default if you don’t make any scheduled payment by the due date. 1 Some readers might ask why your humble blogger has not attempted running an analysis using more stringent definitions of default than the Journal used. First, the Journal story isn’t based on the usual press release linking to a report of some sort; I can’t find any public pronouncement at the difficult-to-search DoE site, so it appears (good for them!) that they did the analysis based on an update to the relevant DoE data set. However, the DoE has a bunch. Second, and at least as important, I don’t report regularly enough on consumer lending or student loans (per the comments above) to have a high degree of confidence in terms of what standards to apply were I to figure out what data set the Journal used. So the result is unless I were to plan to update this analysis every quarter, it’s not worth the investment of up-front time relative to the value to readers. Hopefully asking this question will lead those closer to this data to kick the tires to do more refined work. This entry was posted in Dubious statistics, Economic fundamentals, Student loans on December 14, 2017 by Yves Smith. Thanks to Joe Biden, a full service agency in congress for his credit card and bank masters in Delaware where they are headquartered, student loans cannot be discharged in bankruptcy. Maybe students should just incorporate themselves as banks and corporations? I thought that Bill Clinton, along with his many sins, was responsible for that “reform” of the studint loon prograhm. Thank you for the link. One of the felicitous features of this site is that one can always be educated about mistakes without rancour or recrimination. Thanks again. The actual decision to make student loans non-dischargeable in bankruptcy does indeed date to the Bill Clinton administration, via the 1998 Higher Education Amendments Act. Prior to the legal change in 1998, student borrowers could also “discharge” student loans if the borrower had been in repayment for seven years, notwithstanding the undue hardship test. In 1998, without hearings and debate, Section 971 of the Higher Education Amendments of 1998, removed the seven-year legal test. When signing the bill 1998 bill into law, President Clinton issued a signing statement that asserted, “this bill represents a positive, bipartisan advancement for students, teachers, and the future of higher education.” In hindsight, the legislation appears to be less “positive” for students. The Obama and Bush administrations both consistenly pressured the courts to not overturn the original Clinton-era action. That’s what the link from Jean is about. It would thus appear to take an Act of Congress to reverse? From the article: No student debtors should get a break unless there is a “certainty of hopelessness” with circumstances that have a “total incapacity” to change, court documents said said. How the hell do the courts define “hopelessness” for bankruptcy? My sister-in-law is pining to retire. But she know she will have to work the rest of her life. She’s working as a psychologist and has huge debts from undergrad through her private school PhD that she started in her mid to late 30’s and completed ~2000. Her loan repayments are based on her income. She is merely paying interest on most of her loans, while they get bigger every year. This is so f^%$ed up! Hillary voted for an early version from 03 (? ), but she missed the big vote in 2005 when Bill had his heart surgery. Perhaps this is what you are remembering. This is Uncle Joe’s baby. It’s always fun to describe Biden to people who like him, mostly because they can’t deny they know nothing about a guy who was a major player in DC for 20 years beyond riding trains. Admitting that anecdote is not data, I will observe that a few months ago, our salvage store chain tried a cooperative “credit offer” partnered with a small loan outfit. Something on the order of “90 Days Same as Cash” for sales above two or three hundred dollars. The relevance being that, this being a college town, many of our furniture shoppers are students trying to acquire ‘moveables’ for dorm rooms or apartments ‘on the cheap.’ The shopper had to go through an online credit evaluation process, done there at the store, over a dedicated internet access device. After three months, more or less, the program was quietly terminated. I could not get a straight answer about the abortive program out of anyone who could have known more details. (I do ask some ‘out of my class’ questions from time to time.) All very ‘hush hush’ was the gameplan. We eschew credit in general, and get some very funny ‘looks’ when this fact is bruited about. Sometimes I wish I was like Marianne Sagebrechts’ character in “Rosalie Goes Shopping.” Now there’s how you handle credit. Not at all surprised. Unsecured lending to borrowers who have little to no credit history and are transient in their living arrangements and have no regular incomes, jobs or assets are poor propositions. The asset being advanced on has little residual value and is difficult and costly to recover in good condition. The operation you’re describing is your basic payday lending with a splodge of lipstick applied to the all-too-familiar pig. If the truth were told, the “assets being advanced on” are already in negative net worth at the time of sale.The only real ‘deals’ happen when a product stream is reaching the end of its’ allotted span of time and gets marked down to 80% to 90% off. Even than, we tell everyone; always check the box for missing parts, and test electrical appliances. We have a table with multiple electrical outlets for testing purposes. The only returns allowed are on defective electrical appliances within one day of purchase. It’s definitely “caveat emptor” around here! Yes, current practice for most consumer debt is to bounce the account (credit card, loan) into debt management after 30 days — this is usually soft-touch to contact the borrower to ascertain their circumstances and get information about possible sources of repayment or an estimate for whether the borrower is at the mercy of a life event such as divorce, job loss, ill health and so on (or has even died — sounds awful but the lender definitely needs to know these things but it’s not unusual for them to never get told unless they make some enquiries). The key point is that the delinquent borrower is in the debt management system after 30 days. Here as elsewhere there’s little discretion or room for discussion because the treatment strategy for accounts in arrears are rules based. You basically have to say how you’ll bring the account back in order in the next 30 days. At a cumulative 60 days of delinquency you’ll almost always move from debt management to debt recovery. Measures will be activated to begin court action within another 30 days. If you make part payment, as most consumer debt borrowers will do, you move back to the previous phase. Borrowers can, unfortunately, bounce back between partial payment staving off recovery procedures but never bring their account back to order. The lenders are incentivised to do this because of the potential to gouge the borrowers with junk fees. Assuming the account is still absent any sort of payment and not in an agreed debt management plan (and that plan is being adhered to) then the lender will activate realisations of any assets they think they can get their hands on. Unsecured debt can then be turned into secured debt if you’ve got a house with equity, a car, anything of value which isn’t subject to protection in law. So the notion of any borrowers being carried by a commercial lender for 90+ days is laughable. The account would be charged off from that time onwards, assuming no payments had been made. It is important to note that for a bank or other consumer lender they have far more options to work out a repayment plan then the student loans company. A bank can turn the credit card debt, for example, into a loan (classic rescheduling). Or a credit card or loan can be moved to a HELOC (assuming there’s some equity in the property). And the possibility of tipping the borrower over into a bankruptcy does mean the lender at least thinks about the possibility of overplaying their hand in trying to get blood out of turnips. Student loans, on the other hand, live in this bizarre Neverland of supposedly being managed on commercial terms but playing by no rules that a commercial lender would ever accept. So then, would the American student loan regime be a form of stealth QE? Money goes to the university, and the banks are backed up by a federal agency? As usual, the ‘taxpayers’ will bear the brunt of the financial burden. This sounds too much like Fannie and Freddy before 2007. Press-gang’ed QE! Yes, that’s not a bad description … unfortunates in the wrong place at the wrong time get to find themselves on a voyage you can’t disembark from. I suppose some would say they are to “blame” for getting so drunk on their own hopes as to lose their cognitive functioning and make themselves that vulnerable (not me, though). Uncle Sam will, I guess, still hound the borrowers so it’s not quite like it’s all just some accounting marlakey at the central bank. Maybe it would have been a better policy if the students could have bought something more long-term productive than fancy offices for college administrators. …playing by no rules that a commercial lender would ever accept. Would the fact that student loan debt is, in most cases, non-dischargable in bankruptcy perhaps be enough of an incentive? And these loans are federally insured, right? So limited down side for the lenders. My assumption has been that it is these two facts that make the whole con run. Yes, but only up to a point. The extend and pretend in the face of what is by any meaningful measure a default means the ABS will get made whole (eventually, when the federal guarantee trigger point is reached) but the cash flow from the interest won’t be paid. I’d love to see exactly how the deals are structured. And the cost of doing the servicing must be considered — student loans are actually quite complex products because of all the specific break clauses they contain.  Outstanding student loan debt grew, and stood at $1.36 trillion as of September 30, 2017.  11.2% of aggregate student loan debt was 90+ days delinquent or in default in 2017Q3, unchanged since the previous quarter. There is also a 2013 detailed report on student debt that breaks down the data a bit. the situation will definitely improve. Grandfathering clauses for me but not for thee. Everyone, all at once, just stop “performing.” Don’t pay another nickel. Talk to your room-shares and social network connections, and all of you just stop the feckless attempt to push your Sysiphean rock up that interminable hill. “The law” has been jiggered in the banksters’ and school-corps’ favor by the likes of Biden and Blankfein to create these insupportable debt loads. The gradual disintegration effects on the political economy of this scam appear pretty much unarguable. So #justsayno. If the kleptocrats and looters won’t sponsor a Jubilee to extinguish this poisonous and odious regime, then maybe it’s time for those being crushed by fraudulently induced “obligations” incurred by a cabal of “institutions” on false promises of “self-betterment” to recognize the impossibility and face down the horror we mopes are all carefully indoctrinated to feel at the thought of “not paying our ‘just’ debts,” however unjust they may actually be, and #justsayno. You have nailed what I believe may happen in the future as economic conditions deteriorate. The internet and social media will facilitate. Enough people will get angry and fed up enough with their financial plight that they will have nothing to lose. A major strike against debt repayment will ensue. Sort of like the people who think it’s “morally wrong” to use a product from Amazon for its purpose and then return it for all their money back? That 20% can be triggered by a tiny percentage of other activists. I joined the military back in the 80’s and earned my place in the American Legion as well as much remorse. Then I went to college while working full time, having to take out student loans because the GI Bill was a total joke at the time. Ended up in law enforcement for several years, until suddenly I had to move my family out of town because of safety issues– seems in some agencies that if you’re not dirty, you might be seen as a threat. I was wiped-out financially, totally underwater, and couldn’t meet my student loan obligations. And after a few cold, hungry winters, I decided not to bother and to give up the worry: I have chosen not to participate. Cesar will take what Cesar takes; I neither resist nor cooperate. #justsayno could have the power to strip the veneer of legitimacy from the current system. I like it. Thank you for this. Please be well. You then really have to save your money for retirement, because Social Security will be garnished to payoff those student loans. So you will be entirely on your own in retirement. This Congress may make it that way anyway, but not paying student loans will ensure it. …and how many student loan debtors don’t even have much in the way of future Social Security “coverage,” assuming that the Rulers don;t just appropriate it all, because they either do not get enough “quarters” of work in a FICA jawb, or are paid so little that they will get the very smallest payout if they don’t die of other causes first? Of which there are many? Like despair and opioids and such? There are a whole lot of people in America already who are “entirely on their own” in what you mention as “retirement,” which is old disabled age, waiting to die, for a whole lot of “us” USians. You could also just pay your student loans with proceeds from cash advances and sales of merchandise bought with credit cards which you can discharge in bankruptcy. I have a few questions for anyone who has knowledge on this topic (forgive their simplicity): 1. Why is the student loan industry set up this way? What is the motive at work? It seems neither prudent nor sustainable. If people borrow to go to school and then enter an economic climate where wages do not provide the kind of salary for making payments on the loans what is a person to do? Is the student loan industry viewed as a constant and reliable stream of revenue? The answer to your question, “If people borrow…” is to go on to Graduate School, of course! Such a system does have some reliable revenue streams, such as the “finders fees” for those who sell the loans to the students. Also, the paperwork processing fees for the middle level paper shufflers. Plus the management fees for those who guide the tranches of debt paper through the shoals and reefs of the financial lagoon. There is a lot of money to be made off of even bad investments. Thank you for your response. Of course, going on to Graduate School is no guarantee of a good paying job, but I get your point. When I wrote the initial post I thought one possible answer to my questions is what Mr. Strether always says, “Because markets!” I suppose follow up questions would be: Is there a student loan bubble? Do the institutions involved understand that this is unsustainable? If so, what happens when the edifice starts to crack? Perhaps I’m a fool in looking for a logical answer where none exists. There is a “student loan bubble” insofar as the ex-students are soon living in a ‘bubble’ of absurdity and stress. Roughly, the student loan experience puts one in a “class apart;” the oft mentioned debt peonage class. Tying this in to another comment thread; I would not be a bit surprised to see the student loan crisis merging with the opioid crisis over time. AFAIK, the loans are guaranteed by the US, so the banks can’t lose. Of course the government could make the loans directly, but then how would the donor class afford to bribe their representatives? Let me just expand a bit on the other responses. 1) College tuition has gone up 300% to 400% over the last 20 years, much faster than inflation. NC has written about the why. 2) So student loans have increased as well, tripling in the last ten years, from $480 billion in 2006 to $1.4 trillion (with a T!) in 2016, and 7.5% of GDP. So student loans are real money. 3) Yves has written about student loan debt “Student debt is senior to all other consumer debt; unlike, say, credit card balances, Social Security payments can be garnished to pay delinquencies.”. And of course it is almost impossible to get them discharged in bankruptcy. Yes, the margins may not be quite as good as on a credit card, but the money for the lender is almost free now. Except for the students of course. Not surprising – they didn’t have to go to jail last time, so they think they can get away with whatever. The net result has been unlimited lending (unwise in any circumstance) with repayment terms so harsh that they’ve been outlawed for all other types of loans in the private sector. Even worse, colleges have figured that they can simply ratchet up tuition year after year after year without consequence to themselves. And hey, why not? If students can’t afford it, they can borrow it. Nobody checks to see if repayment is likely. The resulting carnage for student borrowers has been stunning in scope. The blame for this tremendous mess lies directly with the US Federal Government. They directly issue 90% of student loans, and the vast majority of the 5+ million people who are trapped in student loan hell owe money to the US Education Department. Nobody else. Biden, Obama, Congress… Take your pick for culprits to blame. Yes, and I’m even more stultified when considering that this irrational, immoral system funds schools of business, law, social science including economics and psychology, philosophy including ethics, etc, all of which could not but refute and condemn this system, if not in its conception then in its current obviously horrible outcome of economically and psychologically devastated graduates. Add medicine, in light of Lambert’s recent post about embodiment. My niece & nephew managed to rack up somewhere between $400k to $500k worth of student loans between them, and one is nurse practitioner and the other is in sports medicine, so they’ve both got good paying jobs, but my gosh, what a financial burden. And the weird thing, when I ask them about it, they seem nonplussed by the idea of each owing the equivalent of the value of a house in most of the country. Do the frogs know when it’s time to jump out of the pot? It’s a Catch 22 situation for them, for if they defaulted on their loans, the debt badge of courage would have interesting ramifications. But, if they had gotten degrees in something non rewarding from a pay standpoint, such as literature or the arts, there wouldn’t be much disincentive to default, would there? Student loans and it’s stranglehold on generations of debt serfs has destroyed generations’ faith in the US system. It’s created a cynical generation. That is Joe Biden’s legacy after creating the debt serf class. That will also be the death of the Republic. Banks might classify differently than regular loans (and would likely be subject to some minimum steps to recover during the period up to one year), particularly when they do not bear the credit risk. I have no direct experience with how this is done between the lenders and the relevant US government agencies – but have seen firsthand how other institutions deal with guarantees to lenders; the guarantors usually require some minimum period before they will pay out on guarantees, which may not coincide with the usual default cycle for lenders. On student loan default schedules: they might use a one year time frame to account for the various types of deferment and forbearance that are available to borrowers. That would be my guess, at any rate, only having knowledge of these things from the receiving end. Or DOE might not count loans in deferment or forbearance as having a payment due, so not in default even if a payment hasn’t been made in years. I have no idea if this is the case, but it would not surprise me. Data on this can be very confusing. For instance, in the government’s College Navigator website lists Harvard University students as having a very low Cohort Default Rate of just 0.7% for 2014, down from 0.9% in 2012. Yet the government’s very own College Scorecard says that 70% of Harvard University students have paid at least $1.00 on the principal of their student debt within three years of leaving school. The national average is 46%, so, naturally, Harvard is doing better than most schools. It’s not clear if the 30% students who have not paid a single dollar of principal on their student loans are in graduate studies. Both websites are run by the Department of Education. I think “economic expansion” deserves to be in quotes. Once students could get federal government loans (and “government backed” = government loan) for attending “accredited” institutions the usual crowd of parasites moved in. We got a rapid expansion in on-line schools, trade schools that didn’t deliver a job, marginal schools providing remedial education (including most of the traditional black colleges and many community colleges) and nonsense majors parents would never pay for. Plus we got state schools which suddenly could raise tuition at will for such nonacademic frills as student rec gyms with climbing walls, athletic departments that didn’t pay their own way and tutoring services for students who could not make the grade (in Austin at the U. of Texas the budget for tutoring undergrads now equals 11% of what students pay in tuition). How many times have we seen government backed loan programs eventually turn into bad quality loans and government backed insurance programs turn out to be actuarial unsound? The S&L crisis of the 1980s; the recent 2008 housing loan crisis; the coastal insurance scheme; now student loans; all have the same characteristics; lenders who suddenly pass on the risk of default or loss to the federal government and benefit from ever-looser underwritingstandards that keeps the flow of loans going. In all cases much of the problem is that the government loss is hidden away in the future and the lobbyists, corporations and (let us not forget) our public officials gain the benefit in the present. Why should the government back ANY loan? “[A]nyone who has been paying attention knows that 94% of the jobs created in the Obama Administration were part-time . . . .” I would love to see a supporting link because I have not been paying attention. I get how these part-time workers cannot easily make loan payments, but how does that fact affect wage increases and inflation compared to, say, 94% full-time employment? Katz & Krueger is probably the best source (if you like your sources original). This is, IMO, a decent summary. And yes, depending on one’s circle, lots of people *don’t* know it–I was at an Institutional Research conference (10%ers) earlier this year and this got a big gasp when presented. Of course 2005-2015 includes a fair chunk of some president before Obama, and, as with any result people don’t like, there have been various quibbles about the methodology, so YMMV. Thank you! Right on point. I left graduate school with $24,000 in student loans. I paid about $12,000 out of pocket before tough times hit. I applied for the Obama Income Based Repayment Plan. Four short years later I now owe almost $30,000 due to capitalization of interest. In the interim, I filed for bankruptcy and everything was forgiven but I am still harnessed with the student loan payments. How is that fair? Funny thing is…as someone who is over 55, I will probably be dead before my student loan is paid off. I wonder if they can attach my estate for the balance. Does anyone have that answer? I do know they will be coming with their Medicaid clawback…even though I paid taxes for 40+ years. Yeesh! What a racket! The word ‘may’ leads to issues. For example, if you are a lender, and you want to make your balance sheet look betters, you might forget to put loans into default, and now they are non-defaulting. Or if you had issues with management, you might not be able to tell that a lens was non-performing. THE ONE YEAR DEFAULT IS NOT WHAT THEY USE!!! IT IS A 3 YEAR NO PAYMENT DEFINITION OF DEFAULT!!! And even more time than that may be required to actually call a loan defaulted. I stopped paying in 2009 I think. I recalled looking at my student loans a while back and the default didn’t happen until 2013. Scroll down to the default section of that page, or search for 270, as that is the number of days required for a loan to be considered defaulted. These numbers are MUCH worse than is being let on. Does any place like shadowstats cover the real default rate? Maybe I should have paid more attention and been less tired when I read the link I posted. But my loans were not considered in default until after they had not been paid for 3 or 4 years. So, I don’t think the 270 day or 1 year numbers are what is really being used to determine default. I saw that bolded part above and didn’t really bother to read the thing… oh well.